The perpendiculars $OA'$, $OB'$, $OC'$ are preceded with the minus sign if their intersection with the interior of $\Delta ABC$ is not empty, and with a plus, otherwise. 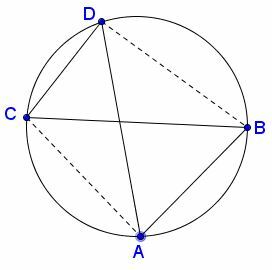 For a quadrilateral inscribed in a circle, the sum of the products of the two pairs of opposite sides equals the product of its two diagonals. 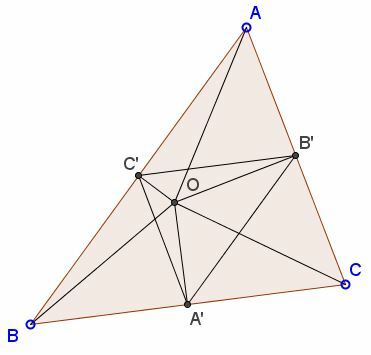 Implicit in this formulation is the requirement for the quadrilateral to be simple (no intersection of sides except for the vertices) and, hence, convex. 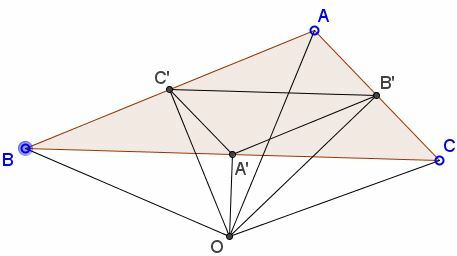 Ptolemy's theorem applies only to simple inscribed quadrilateral. If that is not the case, the quadrilateral admits an alternative property. which is practically the same as (1), except for the minus sign in front of the product of the non-intersecting sides. 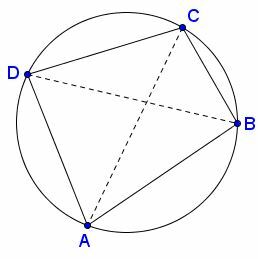 The underlying idea of the proof is to consider the circles with diameters on the segments joining the circumcenter with the vertices. We have to consider three cases. Summing up results in $(R+r)(a+b+c)=(OA'+OB'+OC')(a+b+c),$ i.e., $R+r=OA'+OB'+OC',$ Lazare Carnot's theorem. 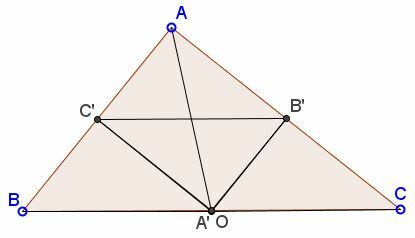 In case of an obtuse triangles we'll replace (1) with (2) and modify one of the area formulas. Summing up results in $(R+r)(a+b+c)=(-OA'+OB'+OC')(a+b+c),$ i.e., $R+r=-OA'+OB'+OC',$ Lazare Carnot's theorem in this case. The above is a little expanded version of a note Lazar Karno's Theorem by Abbas Rouhol Amini (Mathematical Spectrum, v 47 2014/2015 n 1, 41-42).